For leaders, acquiring awesome team leader skills can make a difference between a good team and a great one. 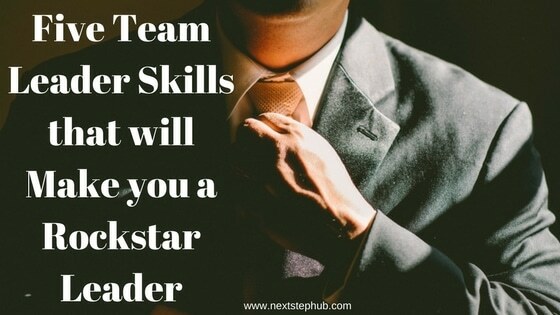 So what skills do you need to become a rockstar team lead? Here are five skills you can learn. We often associate creativity to the arts. But when it comes to leadership, creativity goes beyond that. A creative leader has the ability to disrupt the process and come up with ideas to improve the business. Creativity also helps a leader become inventive when it comes to handling unforeseen events. Most of the time, creative leaders are also the most receptive to different ideas. They are also collaborative and think outside the box. Because of this, they are able to come up with new ways to resolve issues better and faster. So how do you become more creative as a leader? Experiment. Learn how to bend rules and adapt to situations. It also helps to look towards other leaders for inspiration through books, podcasts, and online forums. Great leaders know transparency is the key to clear communication. They know when sugar coating will not work. They also understand the value of delivering information without the fluff. Whether it’s giving a report, feedback or bad news, they always know how to be straight about it. Transparency helps stop rumor mills before they even start, which is good. There’s nothing else more dangerous and debilitating than wrong information. It is true that attitude is everything, especially when you’re managing teams. Handling different people with different personalities and mood swings can be difficult at times. But when you have the right attitude and perspective, you will be able to manage them without the drama. Great managers also know when to keep situations light and keep a poker face on. They also know when to treat situations with urgency. Great leaders know how to handle tasks and situations thrown at them well. As team leads, they set the tone and the mood of their team members. They are team players and are the first ones to step into the waters. They also have the ability to make the change as comfortable as possible for his team. He or she gets to know each team member and learns the best ways to motivate them to be at their best. Above all else, awesome team leads know that their team is human too. It is important for team members to know that they are valued as individuals. They want a leader who they can connect with. Leaders like these are beloved and respected by their peers and their teams. Empathy is the ability to recognize and share other people’s feelings. As a leader, it helps to be sensitive of how your team members are. This plays a great role in identifying what tasks they will do best at and how to motivate them to be better at what they do. Being a leader is a balance between intuition, knowledge, nd skill. All of these can be gained through an open mind, an open heart and the desire to improve. After all, isn’t a leader all about bringing out the best in people? What team leader skill would you like to acquire? Talk to us below.